Can I ask roughly how deep the custom top is? One i'm eyeing off is 65cm, which will *just* cover the alex drawers with a bit of hangover at the front like yours, but it looks like yours could be 70-75cm? Thanks! Mine is 900mm, tried one that was 600mm but that was way too shallow. Just got these items in a newsletter from Moddiy. DSTM (Dougie), Dodge M4S, ae00711 and 2 others like this. 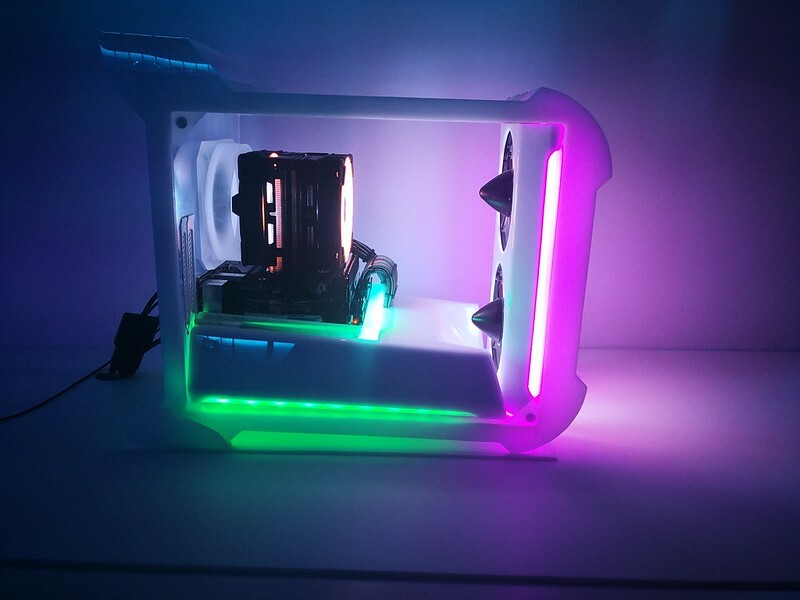 Mate, that is almost impressive enough to convince me of getting back into the incredible amount of fiddly mucking around that casemodding involves. Very impressive project, great result. Much respect. Edit: love the bevelled acrylic fascia/trim for the motherboard, the old school nosecones on the fans, the diffused lighting. Love that little twist you put on the CPU12V loom. Beautiful work, almost MDPC-worthy in my opinion. That work space is a mod in itself... for ever adding to it.. but worth it imo , just makes modding alot more fun. Cool mate, would be good to see a few more shots of the outside in brighter light, i really like that "polar white" acrylic look. BlueRaven and Defyant like this. Defyant and BlueRaven like this. Plus a bit of reo mesh, some black spraypaint and some L brackets. 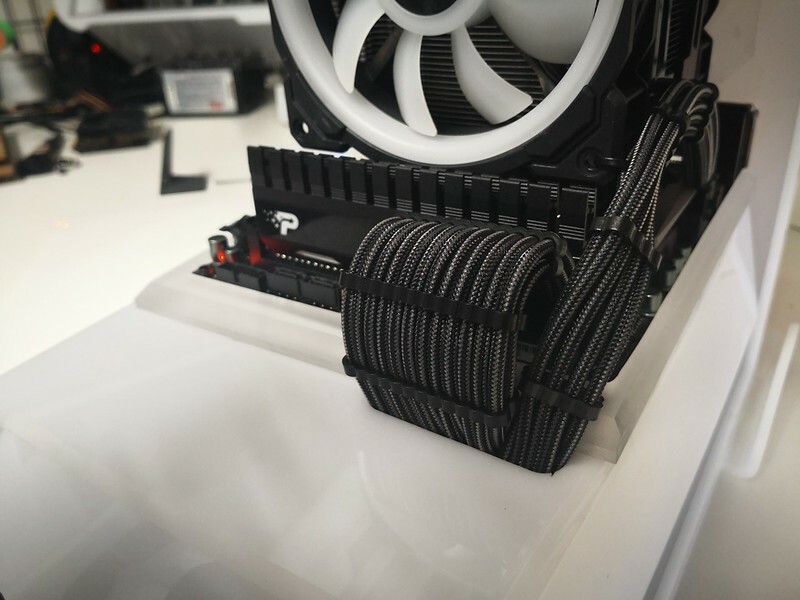 How do you guys find it best to measure for custom length cablemod cables etc? Run a string line? 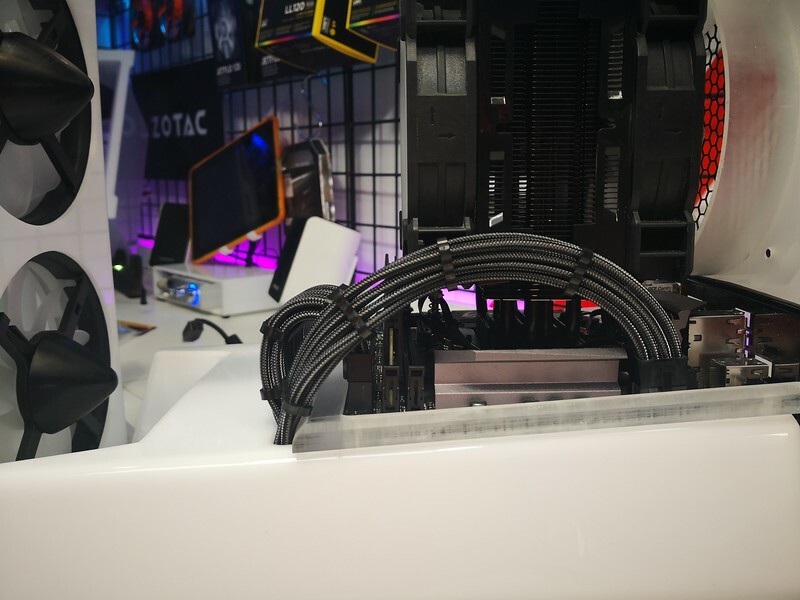 How to best account for the large radius turns of things like the 24pin ATX connector etc? They are reasonable flexible so I don't think you need to really account a huge amount extra. Do you have some really funky stuff going on that default length extensions won't fit? You win the entire thread, damn! BlueRaven, Defyant and DSTM (Dougie) like this. I was fortunate enough to see Defyant's workspace in real time, and it is every bit as fabulous,as in the photos. Defyant was kind enough to give me a guided tour, and shown how all the workspace Led's are changed, changing colours, speeding up. and slowing down.Incredible to watch how everything changes. The workspace is a true work of art on it's own.I was gobsmacked just watching the changes. Thanks so much Defyant, for dropping tools, and spending time showing me around. Made my day. Visions, I won't forget in a hurry. BlueRaven, OJR and cmi83 like this. Who would care to do the honours? Should we ask OP to put up a poll? Pay someone else to do it? I kid. The really serious guys would be modelling stuff and then translating the 3D models to physical measurements. And then very very patiently trying to make reality match those measurements. I usually eyeball it and then figure out a way to hide the excess. Lots of ways to make it look neat, best solution depends on the build and how much space you have to work with. And by the way... Happy New Year all. Defyant any updates/photos? Did anyone tell Agg about this to put it on the front page? I haven't been keeping up with mah nooz/misc pics of late, been busy.